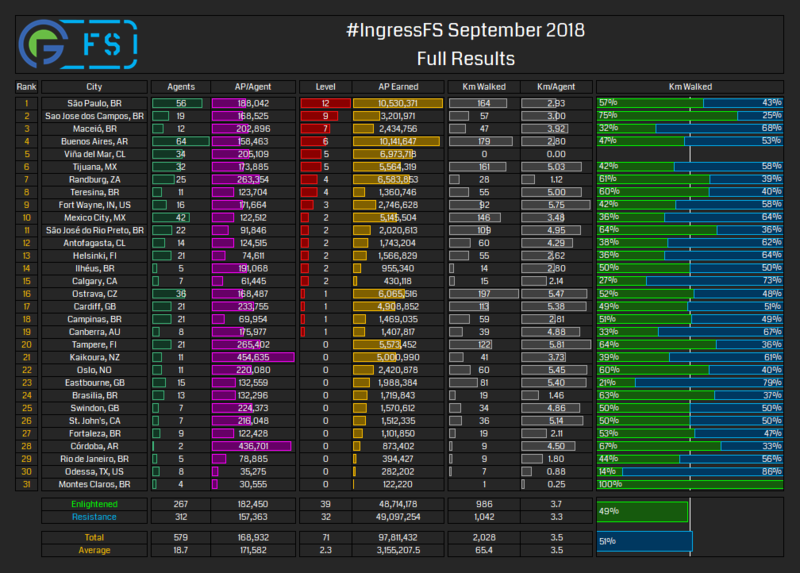 579 Agents from 31 cities in 13 countries earned 98 million AP, gained 71 levels and walked 2,028 km during September’s First Saturday events around the world. 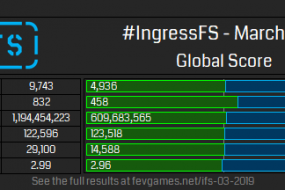 This month, the Enlightened had the most levels gained (+7), most AP per agent (+25.1k) and most KM per agent (+0.35). 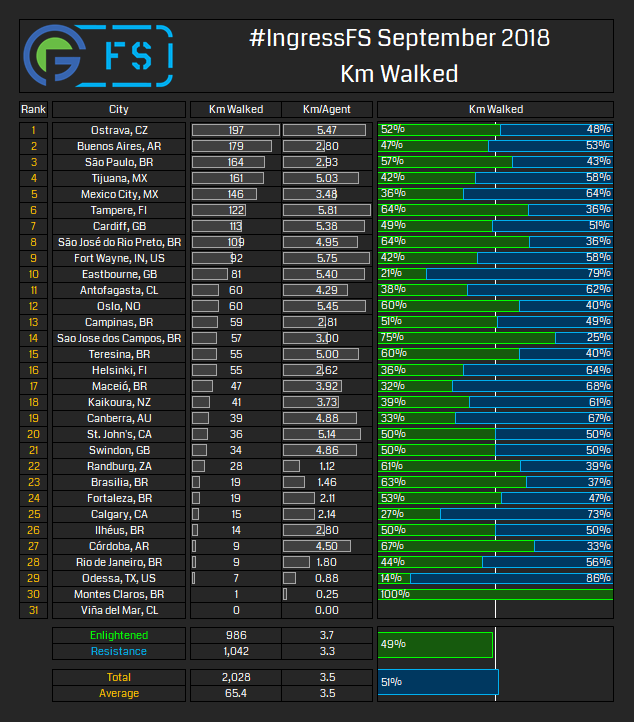 The Resistance had the most agents (+45), most AP earned (+383k) and most KM walked (+56). 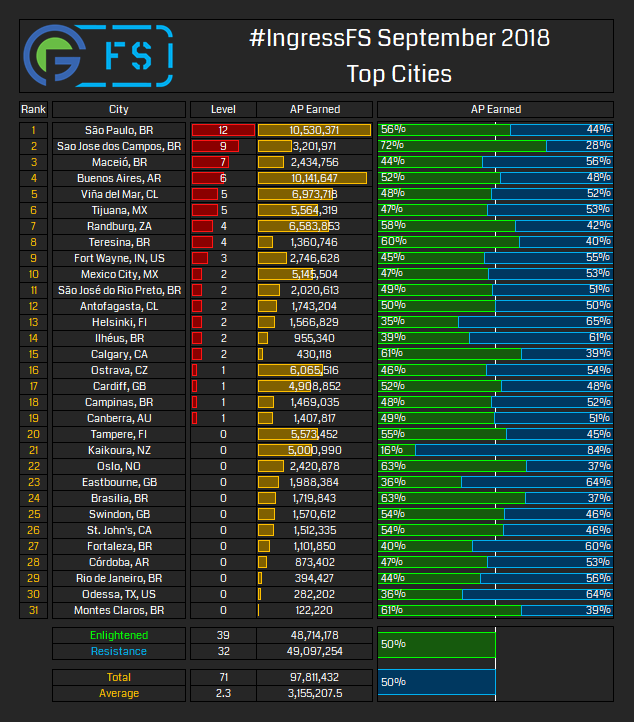 The top city for for September was Sao Paulo, Brazil with 12 levels gained and 10.5m AP earned. The second highest AP earned was Buenos Aires, Argentina with 1.01m AP. 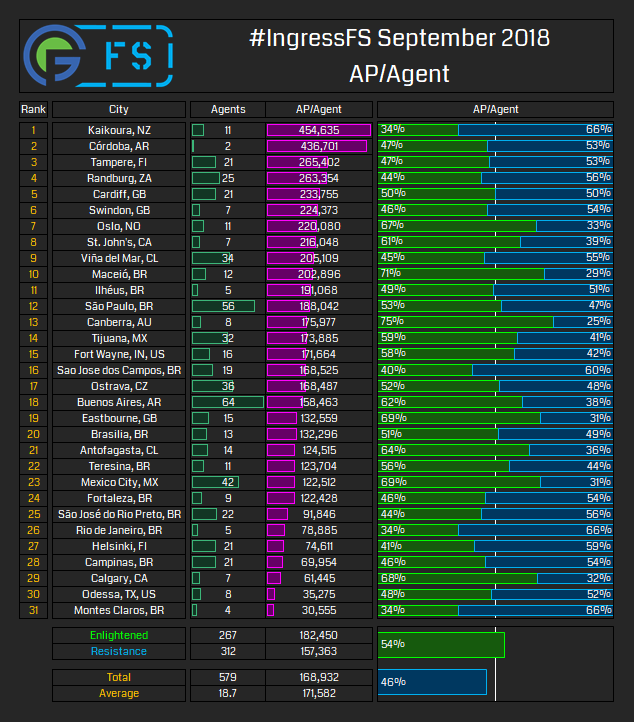 The city with the highest average AP earned per agent was Kaikoura, New Zealand where 11 agents earned an average of 454k AP. Agents in Ostrava, Czech Republic walked the furthest total distance of 197 km. Stay tuned to Fevgames for some exciting FS news soon! 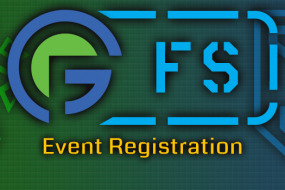 October 2018 IngressFS events can be found at fevgames.net/ifs-reg.